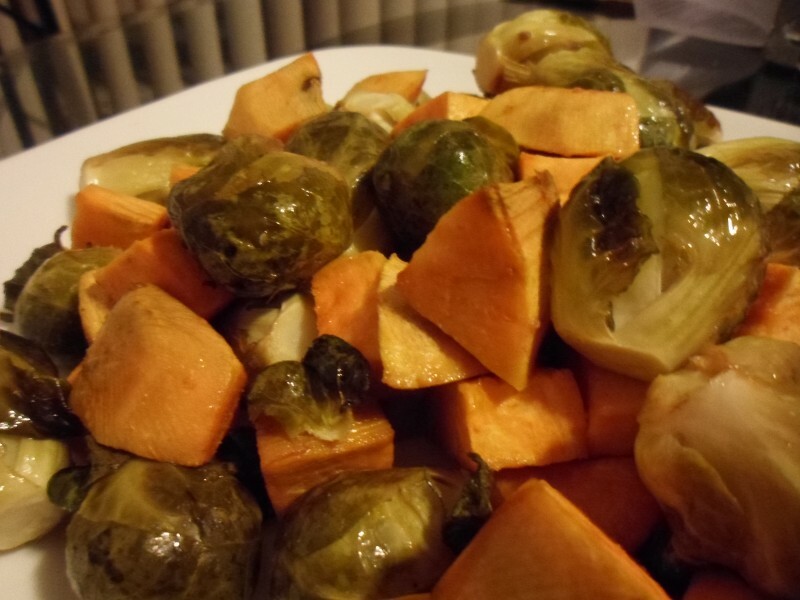 I’ve never made brussels sprouts before but last thanksgiving my mom had made some with butternut squash and they were delicious… So when I saw some on sale at the grocery store the other week I thought I would give them a try. Since it was my first time making them, I didn’t want to add too much seasoning and I wanted to pair them with something that I know I really like (sweet potatoes 😛 ) so if they didn’t turn out that good I would still have some other veggies to eat. Brussels sprouts belong to the cruciferous vegetable family, along with broccoli, cauliflower, turnips and kale. In addition to the many vitamins and minerals present in cruciferous veggies (such as carotenoids, vitamins C and K), there are certain sulfur containing chemicals present in these veggies that are being closely studied with regards to cancer prevention. Laboratory and animal studies indicate some of these chemicals in cruciferous vegetables have shown promise in inhibiting cancer cell growth in several different organs. So go ahead and try some brussels sprouts, you may like them now, even if you didn’t like them as a kid. Preheat oven to 400 degrees. 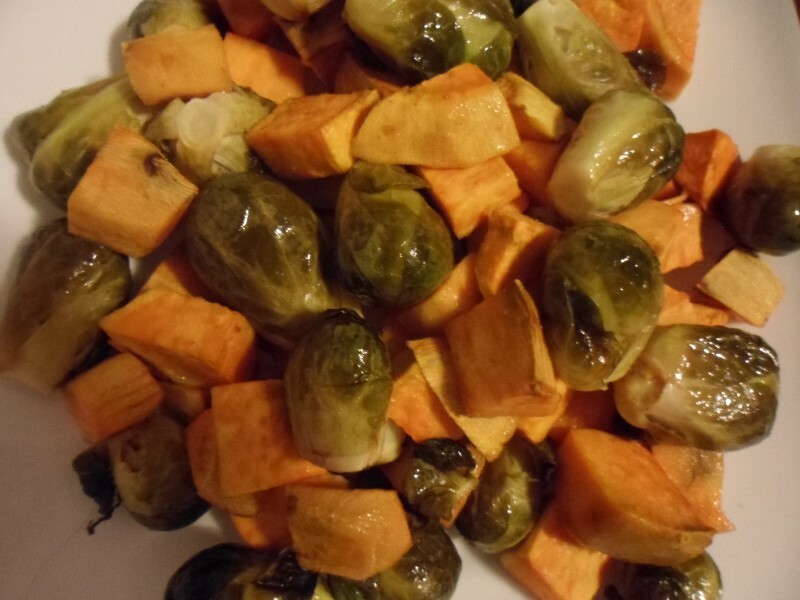 Rinse off sprouts, chop off brown ends and remove any outer leaves that are yellowed or browned. Rinse, peel and chop sweet potato into about 1 inch squares. Lay sprouts and potatoes in a single layer in a sheet pan. Mix olive oil, vinegar, salt, and garlic in a small bowl. Drizzle over veggies and toss to coat. Spread veggies in a single layer and cook in oven for about 40 minutes.